Atenas, Grecia 2018. Selección Nacional. We would like to inform you that this year European Summer Camp will take place at the hotel «Miramare» www.miramare-eretria.gr it’s located at the area of Eretria in Evia Island, from June 24th until June 30th. 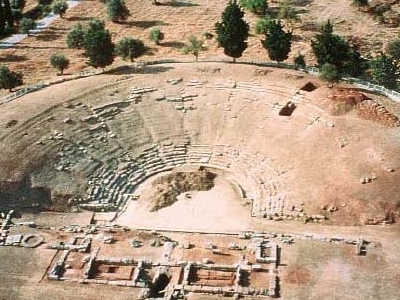 Eretria is a village about 96,5km from Athens. The cost per person is €450 for Adults and €350 for children (4 to 12 years old) on a four bed bedrooms. For three bed bedrooms the cost is €490 for adults and €390 for children, and for two bed bedrooms the cost is €530 for adults and €430 for children.  Transportation from and to the Athens airport.  Transportation from Athens to Eretria and back.  Full board accommodation to the Hotel «Miramare» for 6 night and 7 days. The deadline for the participations is the 15th of May of 2019. By the 15th of May you will have to send minimum 50% of the total cost to the Hellenic Federation for every participant. After this dates none participation will be accepted. On your arrival you will have to pay all the rest of the money to the Hellenic Federation. IBAN: GR86 0260 523 0000 390 2000 85578. For any further questions please don’t hesitate to contact the Hellenic Federation at soobahkdogreece@gmail.com or angelo@pitsikalis.gr .